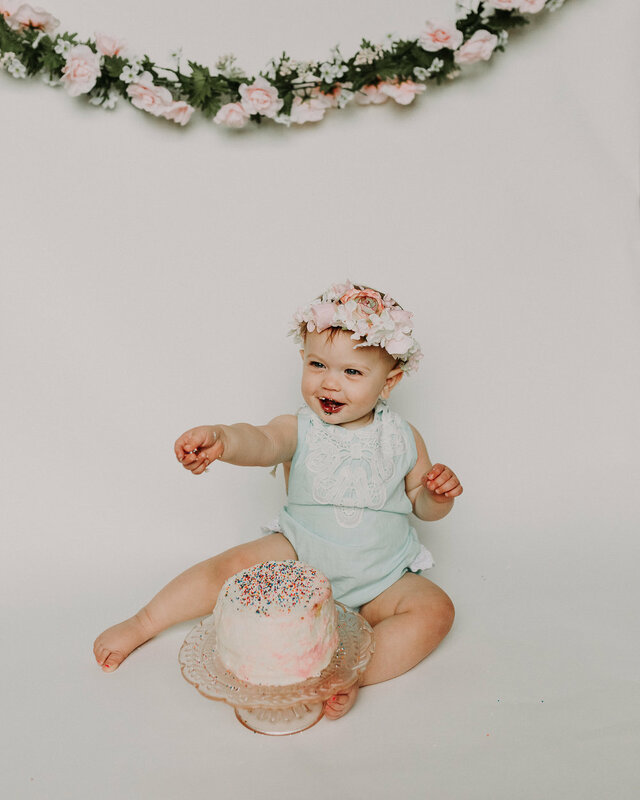 It is so hard to believe Kinley is ONE! It seems like I was just photographing her Fresh 48. Babies grow up so freaking fast, don't they? It's pretty unreal. 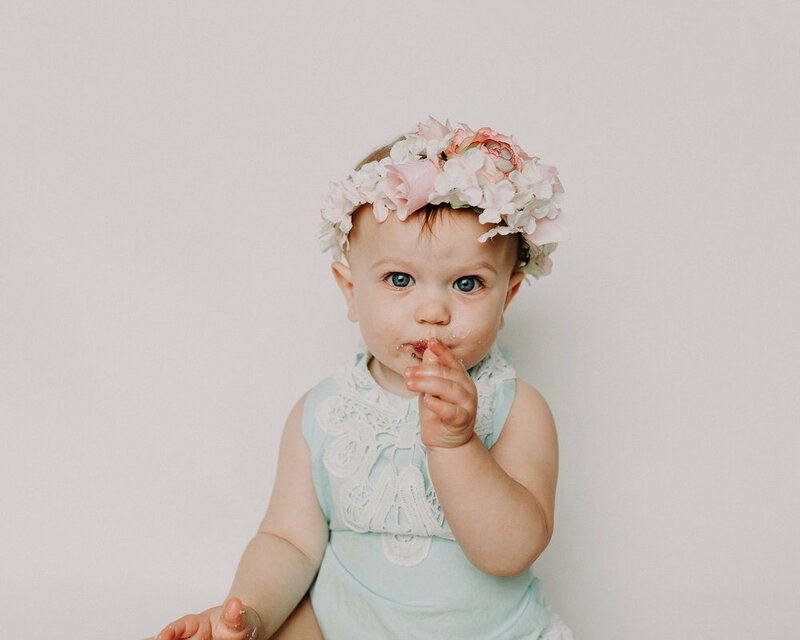 I've had the honor of photographing many babies over the last year, and it is so fun to watch them grow. 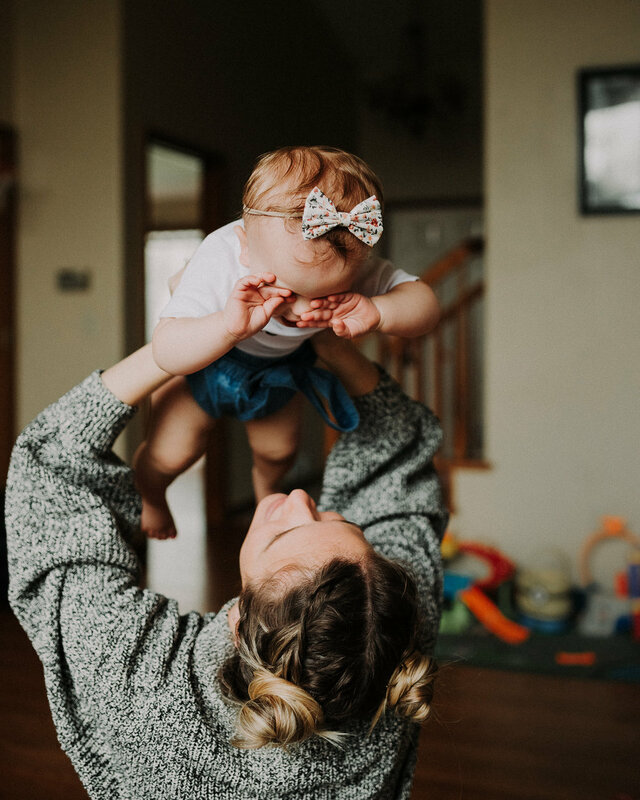 I am so happy that being the photographer for her little Kinley girl is what brought us into "partnership" you could say, and really good friends. We do not officially work together, we each run our own separate businesses, but we do fully support each other. That is incredibly important in this business, because it is so overwhelming and discouraging sometimes. Knowing that Lisa has my back is amazing. Also, knowing that I have someone to call, who I can trust, if I ever need backup, is invaluable. I am so excited to see where each of our businesses go this year, and what fun things we can do together. 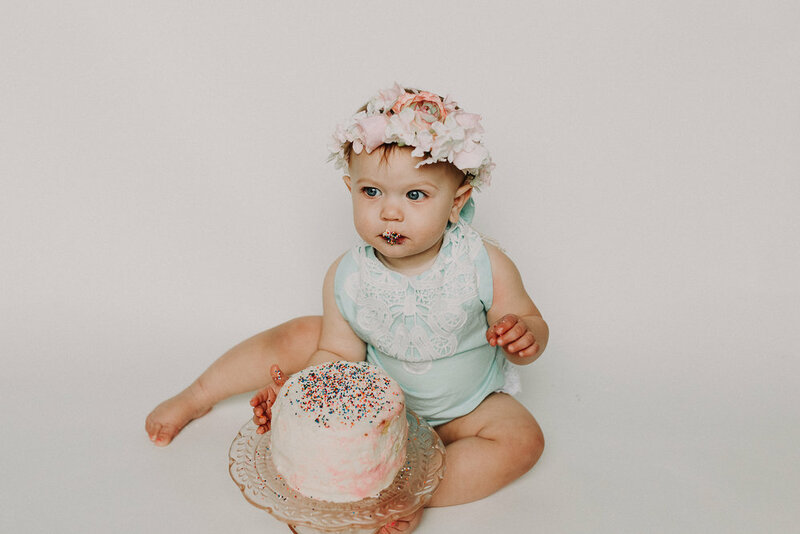 Now, here are some photos of Kinley enjoying her cake, her big brother joining in, and some lifestyle motherhood shots.